Home » iPad Magic » Official Angry Birds Magician: Abra-Ca-Bacon! 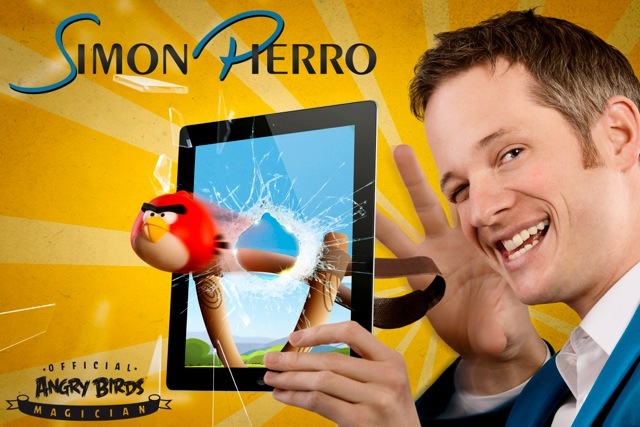 The smash-hit game Angry Birds is a true Internet phenomenon, and now I’ve been named the official Angry Birds magician! This is an exciting collaboration. Here’s why. The MIT Entrepreneurship Review called it “the largest mobile app success the world has seen so far”. In fact, Angry Birds dominates Apple’s rankings, holding the distinction as the most successful of all paid apps. Angry Birds games and their spinoffs, created by Finnish developer Rovio Entertainment Limited, have been downloaded more than 2 billion times across all platforms. The game’s YouTube channel counts over one billion views, and the game has attracted more than 27 million Facebook fans. Before I tell you all about my relation with this blockbuster game, let’s have a look at my iPad clip for the new Angry Birds Seasons update. Rovio and I have certain similarities. Unfortunately, I’m not referring to the company’s revenue of more than $205 million in 2013, but the fact that the company breakthrough owes part of its success to Apple’s iPhone and iPad. My career as well has developed superbly since my first iPad Magic video. Performances around the globe, recently in Kuwait, Muscat and Toronto, illustrate the effects that viral video clips can have. You could call it “word-of-mouth 2.0”. The title of the update, “Abra-Ca-Bacon,” is only the first of many collaborations between Rovio and me. Apparently, my iPad magic fits right in with the new release, especially since those Bad Piggies — the opponents of the Angry Birds — have somehow developed magical powers. 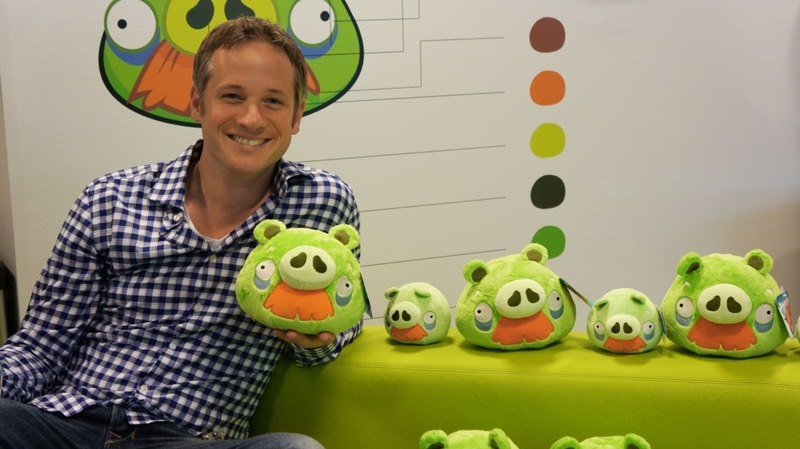 As a fan of the Angry Birds, I didn’t hesitate a bit, and within hours, I was on a plane to the Rovio headquarters. 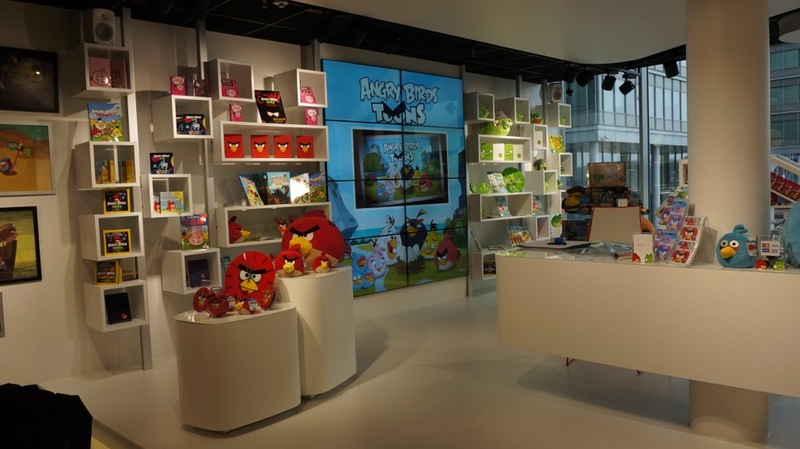 At the entrance, a huge fan shop welcomes visitors with all the merchandise products you could possibly imagine, with thousands of items carrying the Angry Birds branding. Now there’s even an Angry Birds feature film on the way, featuring our explosive feathered friends and their porcine adversaries. The meeting takes place in a conference room stuffed with Angry Birds toys. My first drafts were well-received and our deal was settled with a handshake. The new features of the Angry Birds game provided the basis for my iPad magic. Birds are launched out of the iPad with the slingshot and the magical portals teleport the Angry Birds from one iPad to another. UPDATE: Now there are even more Angry Birds Seasons updates. Here’s a new one called Arctic Eggspedition! 2 Comments to Official Angry Birds Magician: Abra-Ca-Bacon! I love angry birds seasons because it’s all new.Thank you app store!